Visakhapatnam: It's not easy if one is not an automatic choice in the playing XI, but if there is a coach like Anil Kumble who can give a pat on the back during lean phase it becomes easier, feels Amit Mishra, who emerged the stand-out bowler in just concluded ODI series with 15 wickets. Mishra grabbed 5/18 in India's 190-run rout of New Zealand and earned the 'Man of the Series' award for his consistent performances. "His (Anil Kumble) mental support is the biggest thing for me. I sat out for the entire Test series but he supported me mentally and told me "don't worry, your time will come"," Mishra, said at the post-match media conference. Mishra also said how Kumble's invaluable tips helped him. "Whenever I went to bowl in the nets, he always gave me tips on how to improve your bowling, like the seam position... He told me "you can improve batting also". He's always there to rectify your small mistakes," Mishra explained on Kumble's role. Having missed the Test spot to Indian premier spinner Ravichandran Ashwin, Mishra played all five matches of the ODI series as the offspinner is rested for the 50-over leg of the tour. "At this stage of career, I have to perform. I am a wicket-taking bowler. It has become a sort of 'trademark' that 'Amit ayega to wicket nikalega' (Amit will always give a breakthrough)," Mishra who will turn 34 next month, added. Asked if he regrets about not getting fair share of chances, Mishra's disappointment was palpable bit he tried to reason it out. "I have stopped thinking what's not in my hands. I can improve my fitness, batting but can't decide on how many matches I've played. I've prepared myself mentally in such a way that whenever there's an opportunity I give more than 100 percent." "I'm happy for all the hard work I've put in. I've performed well and became man of the series. It's the second series where I've played five matches continuously. Highest wicket-taker and played five matches. Especially final match. It was a lot of pressure. To perform well here, it feels great." 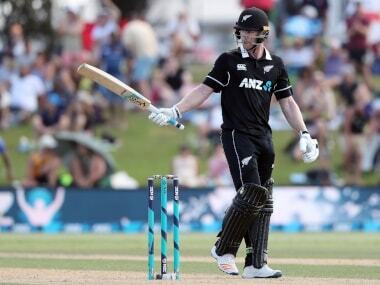 New Zealand had levelled the series 2-2 in Ranchi as India were under pressure to keep their clean record against them in an ODI bilateral series. "The biggest thing was it came in the most important match of the series. Everyone contributed well, be it in batting, bowling or fielding. We're trying our best on fitness, it all showed today. It's about performing, getting five wickets in the most crucial match and win the series." Asked about his recipe for success, he said: "I don't focus on achievement. I focus on the match ahead. Focus on the match situation, on the match ahead. It adds to pressure if you think on the achievements." 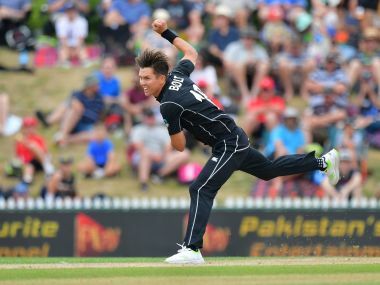 New Zealand lost eight wickets for 16 runs to be bundled out in 23.1 overs but Mishra said they were not surprised by the visitors' abject surrender. "We have done a lot of hardwork. We knew if we take one-two wickets, we can bundle them out. Once I started there was a little concern about boundaries but Dhoni told me to bowl normal deliveries. If you get one two wickets, we will be fine' he told me."